Iowa’s agricultural nuisance law has perhaps become a little clearer, albeit no simpler to apply. On Friday, June 22, 2018, the Iowa Supreme Court issued a key ruling analyzing the constitutionality of Iowa’s embattled right-to-farm statute, Iowa Code § 657.11(2). Honomichl v. Valley View Swine, LLC, No. 16-1006 (Iowa June 22, 2018). 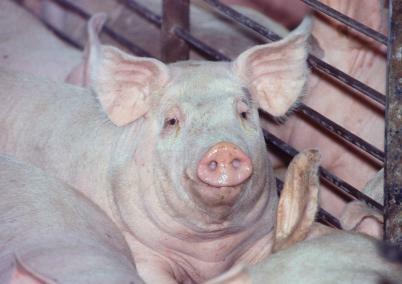 In reversing a district court order finding the statute unconstitutional, as applied to plaintiffs living near two swine feeding operations, the Court re-affirmed the three-prong test set forth in Gacke v. Pork Xtra, L.L.C., 684 N.W.2d 168 (Iowa 2004). Under the new ruling, district courts must conduct extensive fact-finding before ruling on the constitutionality of legislative-granted immunity for a defendant in a nuisance case filed against an animal feeding operation. The Court declined the plaintiffs’ invitation to declare the right-to-farm statute facially unconstitutional. The defendants in Honomichl include the owner of two animal feeding operations in Wapello County and the integrator and operator of the hogs finished in those units. The units were constructed in compliance with Iowa Department of Natural Resources permits and enhanced set-back requirements. Plaintiffs are neighboring homeowners who purchased their properties before the units were built. The closest plaintiff to one unit is 3,527 feet away, and the closest plaintiff to the second is 3,802 feet away. The units began their operations in the late summer of 2013. Several months later, plaintiffs filed their initial nuisance action. Since that time, multiple cases have been filed against these defendants and the composition of those cases has continued to change. Significantly, the plaintiffs were not seeking nuisance damages for diminished property values, only special damages for loss of use and enjoyment. The defendants sought summary judgment, arguing that Iowa Code § 657.11(2) granted them immunity from such damage suits. The plaintiffs argued that the statute was unconstitutional, as applied to their case. The district court granted the plaintiffs partial summary judgment on that issue, and the Iowa Supreme Court agreed to hear the interlocutory appeal. The statute was first enacted in 1995 to protect agricultural producers “who manage their operations according to state and federal requirements from the costs of defending nuisance suits.” In 2004, the Iowa Supreme Court declared Iowa Code § 657.11(2) unconstitutional, as applied to plaintiffs living across the road from two hog confinements. In Gacke v. Pork Xtra, L.L.C., 684 N.W.2d 168 (Iowa 2004), the Court first followed Bormann v. Board of Supervisors, 584 N.W.2d 309 (Iowa 1998), to find that the statute created an easement in favor of the defendants, thus causing a taking without just compensation in violation of the Iowa Constitution. The Court stated, “Whether the nuisance easement created by Iowa Code § 657.11(2) is based on a physical invasion of particulates from the confinement facilities or is viewed as an…invasion akin to the flying of aircraft over the land, it is a taking under Iowa's constitution.” That ruling still holds, although it was not at issue in the Honomichl case since the plaintiffs are not seeking damages for diminution in value of their property. To justify the state in thus interposing its authority in behalf of the public, it must appear, (1) that the interests of the public generally, as distinguished from those of a particular class, require such interference; and (2) that the means are reasonably necessary for the accomplishment of the purpose, and not unduly oppressive upon individuals. The Gacke Court found that step one was met: The law was a valid exercise of the state police power, although individual producers, not the public, were the direct beneficiaries of the statutory immunity. The immunity, the court ruled, bore a reasonable relationship to the objective of promoting the interests of the public generally through the promotion of animal agriculture. This was true primarily because of the important role animal agriculture plays in the overall Iowa economy. Resided on their property long before any animal operation was commenced on neighboring land and had spent considerable sums of money in improvements to their property prior to construction of the defendant’s facilities. The Court ruled that the Gacke plaintiffs’ inalienable rights were violated because, under the specific circumstances of that case, especially the close proximity of the hog buildings to the plaintiffs’ property, the statutory immunity statute was “unduly oppressive” and “not a reasonable exercise of the state’s police power.” The Gacke plaintiffs lived just one-quarter of a mile (1,300 feet) across the road from the hog facilities. Fast forward to 2018. Since Gacke, every district court that has faced the question has found Iowa Code § 657.11(2) unconstitutional “as applied.” The district court in Honomichl was no exception. These courts have not engaged in extensive fact-finding or considered facts or changes to the regulatory scheme governing CAFOs since Gacke. Rather they have summarily declared the immunity statute unconstitutional, as applied. In their interlocutory appeal, the defendants urged the court to reexamine and overturn the Gacke precedent. The plaintiffs asked the Court to declare the statute facially invalid or unconstitutional under all circumstances. Separation distances have increased significantly since Gacke. Separation distance from the plaintiffs to the CAFO in Honomichl were almost double the length of even the enhanced set back distances. The legislature has employed a manure management plan and a master matrix through which Iowa DNR must provide a comprehensive assessment mechanism in order to produce a statistically verifiable basis for determining whether to approve or disapprove an application for the construction or expansion of a CAFO. The Iowa DNR has created new standards for formed manure storage to better contain the manure and its odor. The Court found that the changes—while theoretically benefitting plaintiffs—did not change the necessary legal framework. The “fighting issue,” the Court noted, was whether the statute, as applied to the particular facts of the instant case, was constitutional. The Gacke test, the Court determined, remains the proper legal standard. Plaintiffs, the Court held, must demonstrate that they meet all three prongs of the Gacke test. And district courts must ensure that the three-prong, as applied standard, is supported by specific factual findings. This, the court ruled, is an “inherently fact-specific” inquiry. The proof is dependent upon the “genuine issues of material fact” in each case. In other words, summary judgment on this issue was not appropriate. The trial court is to allow the CAFO to plead the affirmative defense, if applicable. Plaintiffs asserting the unconstitutionality of the statute, as it applies to them, must then prove the existence of the three Gacke factors. If the plaintiff is successful, the immunity will not apply. The plaintiffs urged the Court to declare that § 657.11(2) was facially unconstitutional because the state’s police power does not include “protecting large-scale agricultural interests that have themselves been commonly characterized as a public nuisance or risk.” The Court rejected the plaintiffs’ argument and specifically affirmed its Gacke holding: The legislative purpose of the immunity statute to promote animal agriculture falls within the police power of the state. Justice Waterman wrote a special concurrence in which Justice Mansfield joined. Although they agreed with the result, the concurring Justices argued that Gacke is outdated and should be overruled. They asserted that a deferential rational-basis test is the proper test for challenges under the inalienable rights clause, noting that Gacke is the only Iowa case sustaining a challenge to a law based upon this clause. The concurring Justices stated that, although CAFOs may be controversial, it is not the role of the Court to second guess the policy choices of elected officials. They pointed out that although all fifty states have right-to-farm statutes, Iowa is the only state where such a statute has been found unconstitutional. Other states’ courts, the Justices noted, have uniformly rejected similar constitutional challenges. Gacke, they contended, stands alone and should be overruled. It will be some time before we can know the practical impact of the Honomichl decision. It is now clear that district courts must engage in significant fact finding before they can declare that granting immunity from special damages to a defendant would violate a specific plaintiff’s constitutional rights. This can’t occur until after a trial or an evidentiary pretrial hearing. As such, the three-prong Gacke test essentially transforms the Iowa statute from an immunity provision into a rewrite of Iowa nuisance law for plaintiffs suing an animal feeding operation. To recover special damages in cases involving an animal feeding operation, such plaintiffs must prove the enhanced requirements. For example, instead of proving an “unreasonable interference with the comfortable enjoyment of life or property,” the Gacke test requires the plaintiff to prove a “significant hardship.” The legislature wrote the statute so that plaintiffs could prevail only if they could show proof of negligence or a violation of the law. The statute, as interpreted by the courts, does little to shield defendants from discovery or other litigation expenses and costs. The required proof of the enhanced requirements, however, may serve to better deter the filing of unsupported claims.